The NRA Blog has produced an interesting graphic guide to firearms function. 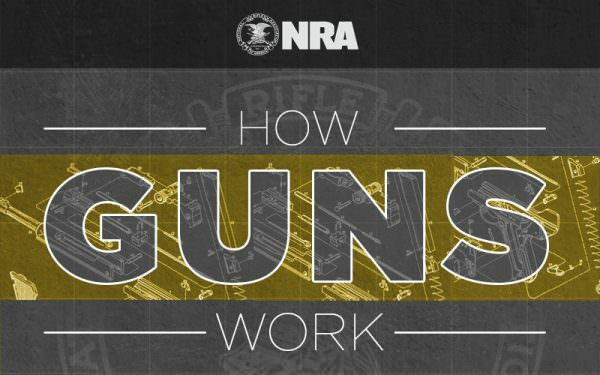 This “How Guns Work” infographic shows the basics of bolt-action rifle operation and how a centerfire cartridge propels a bullet through a barrel during the “firing sequence”. There’s some good artistry here, with cutaway drawings letting you look inside an action and cartridge. Share the post "How Guns Work — An Inside Look"
Someone is going to snag a heck of a deal. 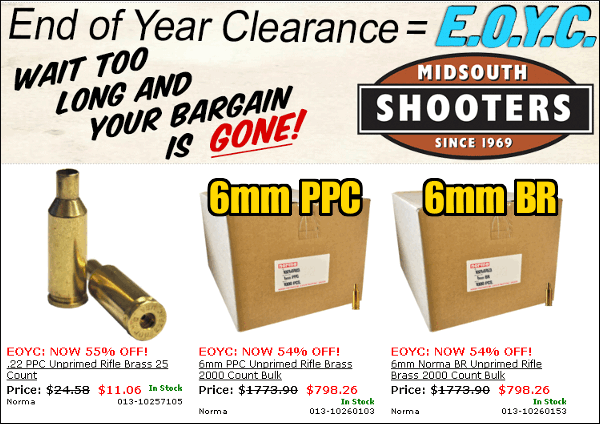 As part of its End of Year Clearance Sale, Midsouth Shooters Supply is offering bulk quantities of quality Norma brass at a huge discount. Right now you can get 2000 pieces of Norma 6mm PPC or 6mmBR brass for just $798.26. You can also get twenty-five .22 PPC cases for just $11.06. There are similar discounts on other products at Midsouth, but we just had to bring this to our readers’ attention. That’s enough brass to last a lifetime. If you are thinking of building a PPC-based or BR-based varmint rifle, such as a 22BR, 2000 cases will see you through a week-long varmint safari. This brass would also make a great item for a youth program. The Norma brass is outstanding — certainly capable of winning matches. It may not be quite as hard as Lapua brass, but it is nonetheless very high quality stuff. NOTE: This is the last day of Midsouth’s E.0.Y.C. sale, so don’t dawdle. You snooze you loose. You could pick up one of these 2000-count cartons and sell off some to your shooting buddies. Share the post "Get 2000 Pieces of Norma PPC or BR Brass for under $800"